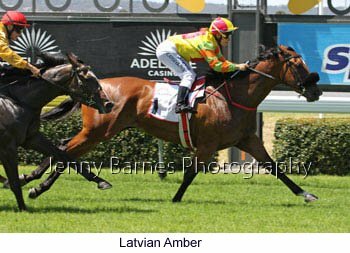 The first race was for the 3yos where Latvian Amber made it 3 in a row from 5 starts with a first up victory from Sheez on Top and Miss Intensius. 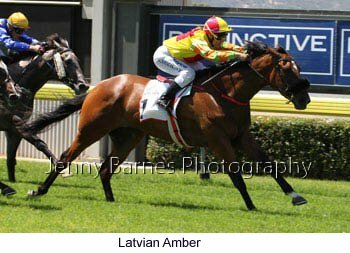 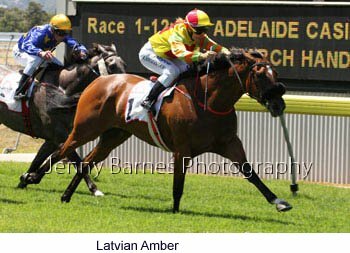 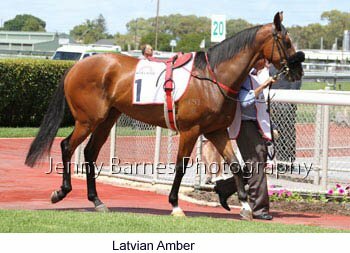 Lativian Amber is by Stratum from More than Ready mare and is from the Dan Clarken stable ridden by Laura Stojakovic . 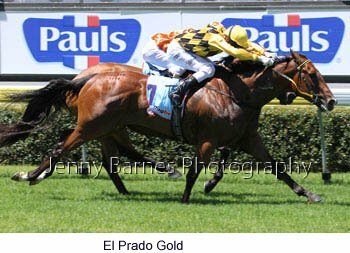 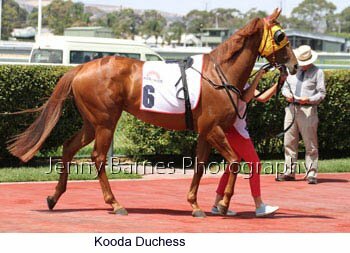 El Prado Gold (Artie Schiller - Angel's Jewel by Made of Gold) was too good in the next winning his third race from 15 starts with 6 placings defeating Katunga with Gold Bundle third. 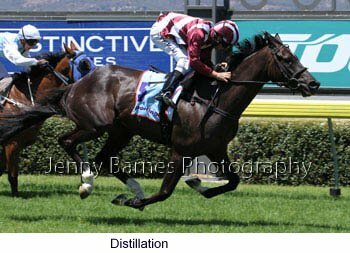 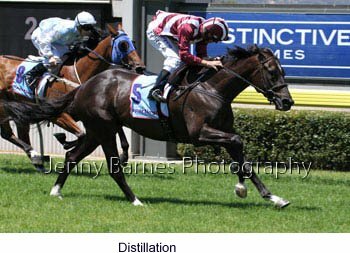 In the distance event Distillation made it three in a row wih a win over Luckzat with Above Average who campaigned over jumps last year in third place. 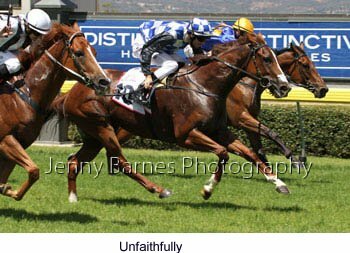 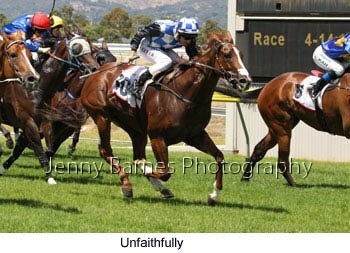 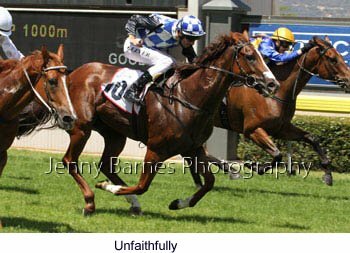 Unfaithfully (Keep the Faith - Royal Jama) continued in good form to take her record to 3 wins from 12 starts in winning from Nadaka with On Strike third. 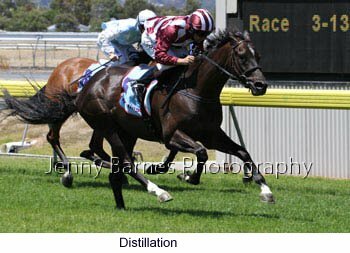 The winner suffered from heat stress after the race but recovered after first aid treatment. 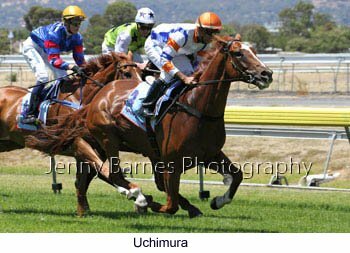 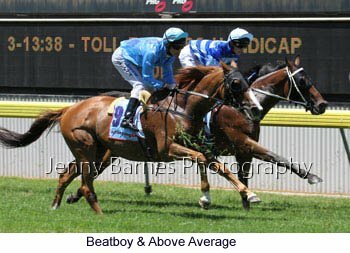 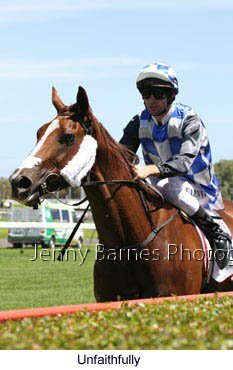 Aeraise (Choisir-Aerated) made it 8 starts for 3 wins and 2 placings in defeating Protector with Ready to Reel third while the next went to Swinging Soldier from Bit of a Schiller with Lucky Livi third. 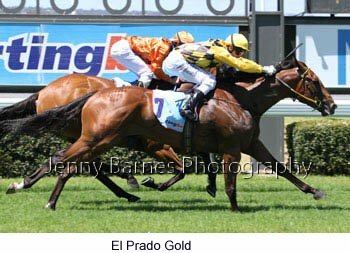 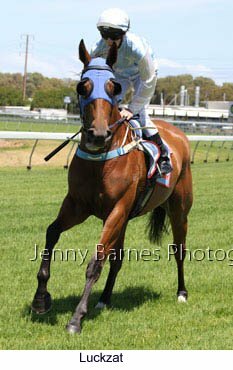 Eclair Surprise resumed from a spell to continue on his winning ways making it 4 in a row defeating Barigan Boy with Lexcen third. 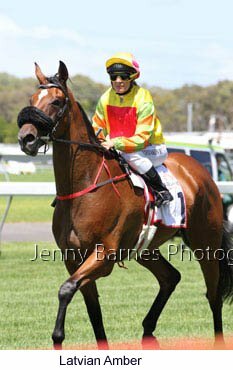 By Blackfriars from Scenic mare French Scene Eclair Surprise is now due to head to Melbourne for the wfa autumn races. 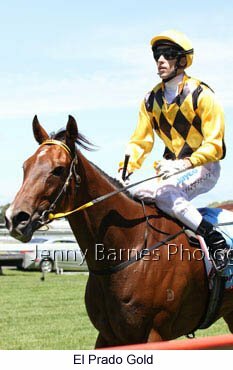 In the last Ventic (by Blevic) made it three wins from the last four starts in winning from Serbian Crown with Mega Queen third.